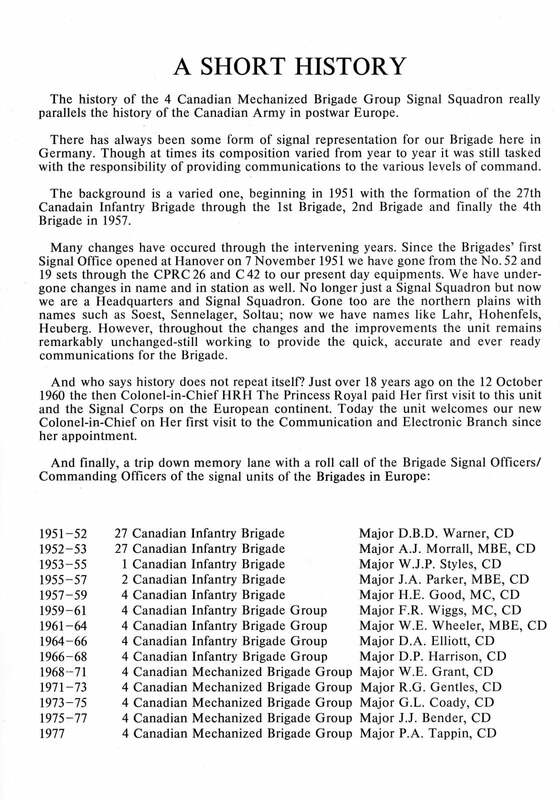 Our traditions and heritage can be traced back to the founding of the Canadian Signalling Corps in 1903. 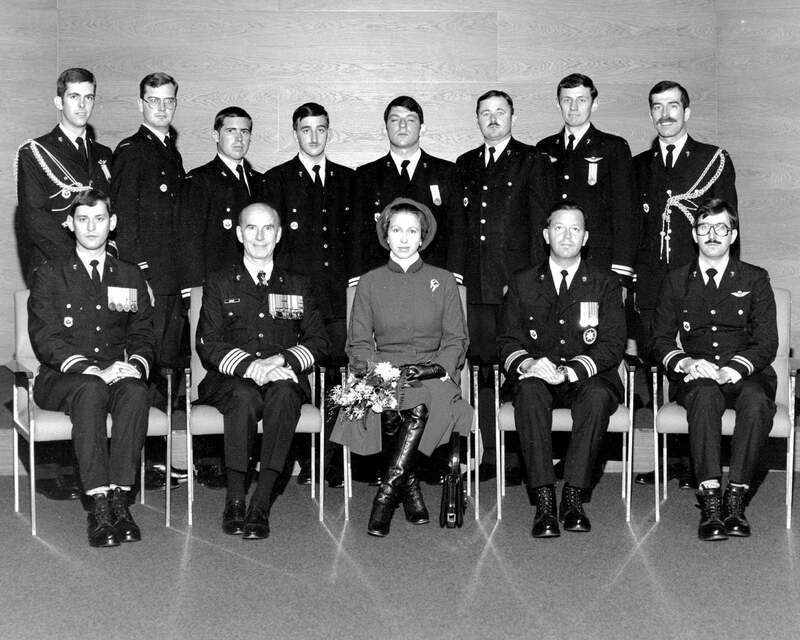 Our members have served in every corner of the globe and here at home in Canada. 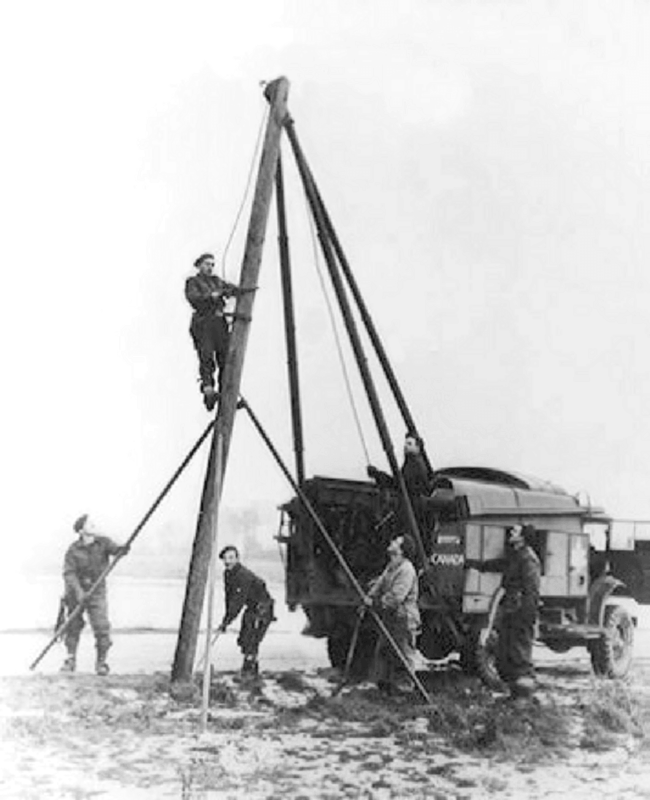 As highlighted in our recently published history – Semaphore to Satellite – our Branch/Corps have been leaders in technology innovation and the employment of new and advanced technology throughout our history while addressing the critical command and control requirements of our military. This section will represent our heritage with stories of our men and women who so gallantly served our country with dedication and courage. Here is an example of what we may include in this section. 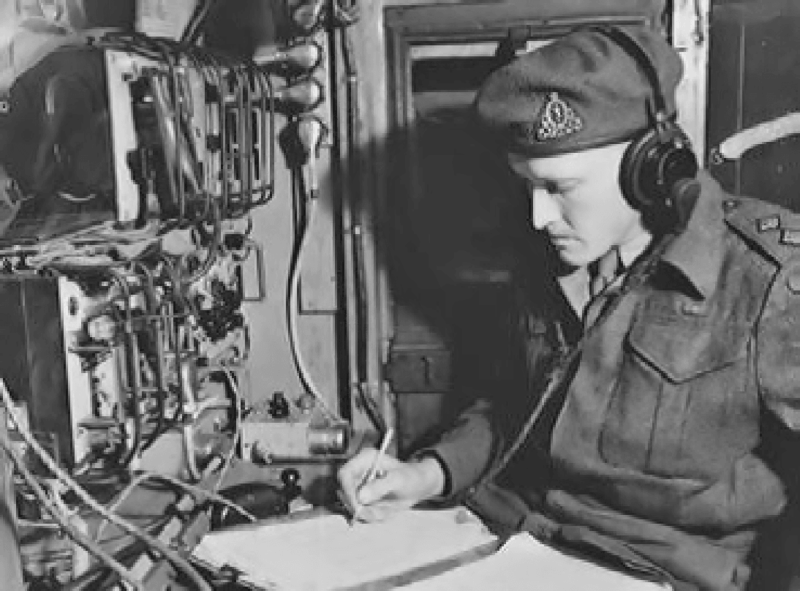 This is the 75th anniversary of the invasion of Italy, our Royal Canadian Corps of Signals was fully integrated into the invasion plans with 1 Div Sigs providing the communication support for MGen G.G. 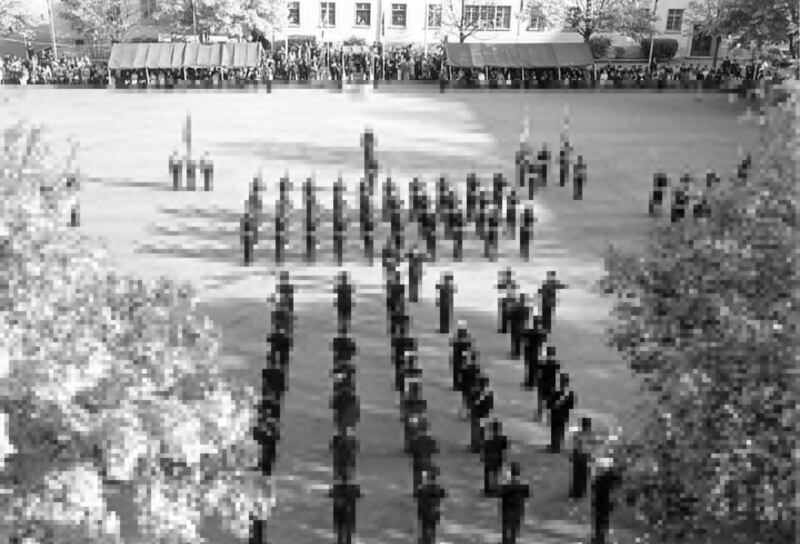 Simmonds and his 1st Canadian Division who were leading the Canadian contingent as part of the British 8th Army. 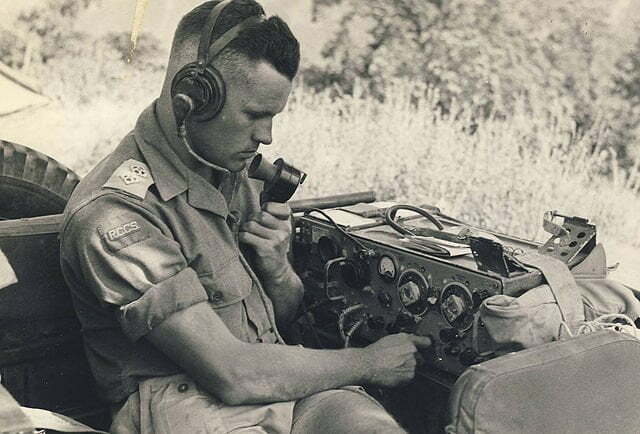 The photo included here shows a RCCS Lieutenant operating a 22 set somewhere in Italy. 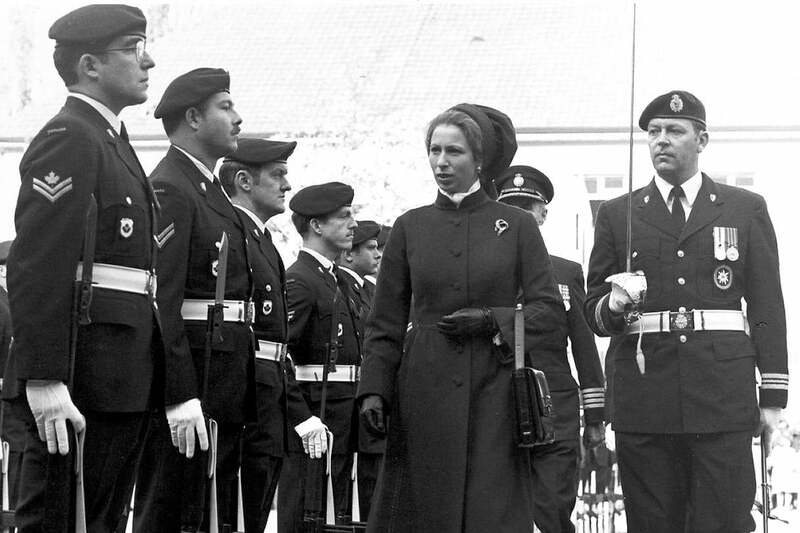 On 20 October 1978 HRH Princess Anne, Princess Royal made her first visit to the Communications and Electronics Branch after her appointment as our Colonel in Chief. 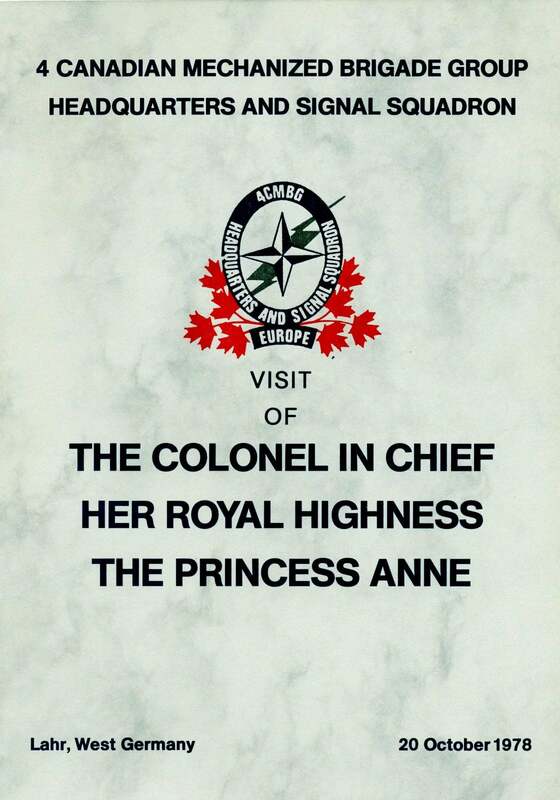 Attached are some of the photos memories of that visit. 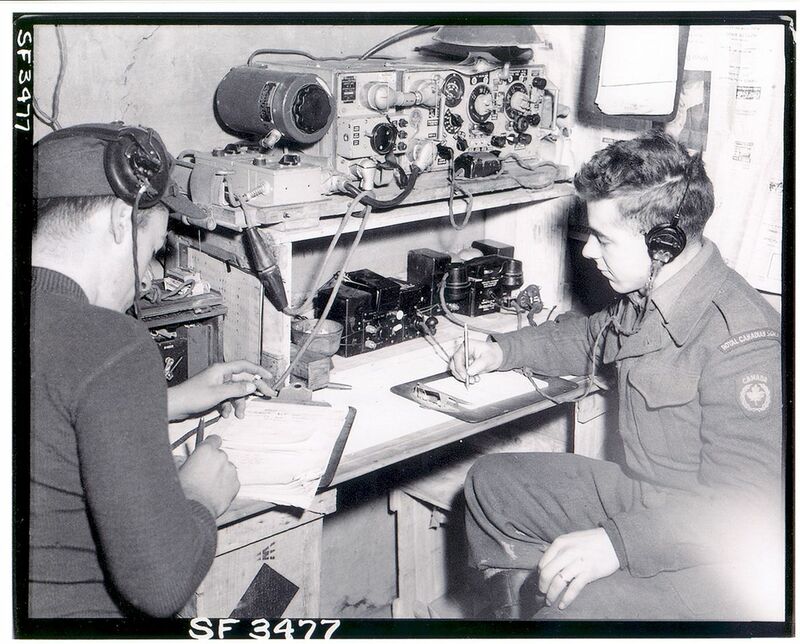 The photo at right shows Royal Canadian Corps of Signals signalmen operating wireless sets in an old Korean house. Left, Normand Beddard and right, Walter Buccos. The radio is a WS No. 19, the telephone on the right is a Telephone set F. To the left of the telephone is a Fullerphone. 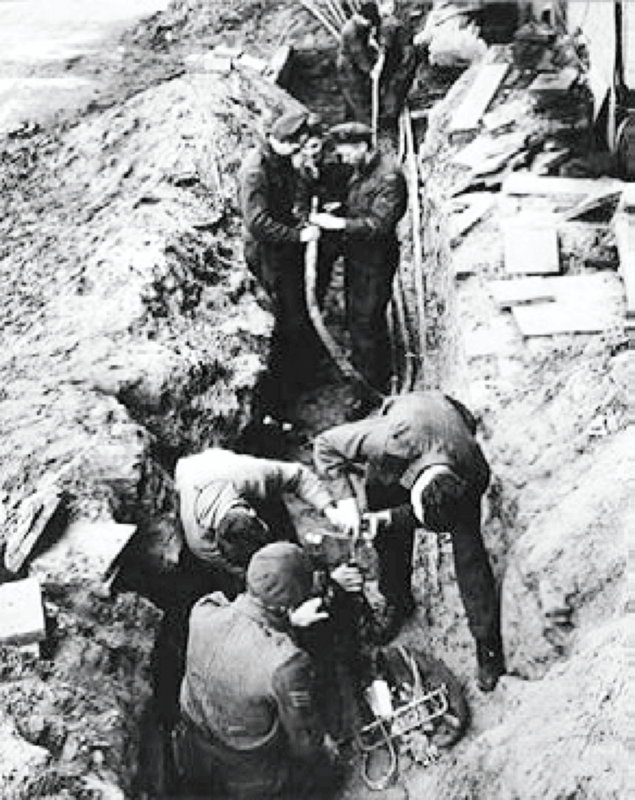 [Thanks to Joe Costello for his keen eye and Signal knowledge]. 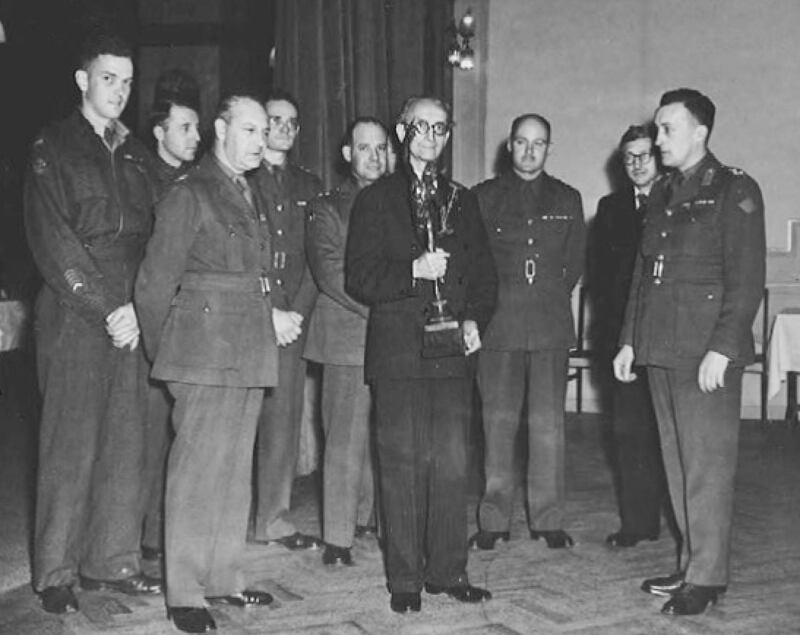 On 3 November 1945, the Burgomaster of Antwerp presented 1 Army Signals a bronze statuette of ‘Jimmy’, which today occupies a place of honour in the Vimy Officers’ Mess.